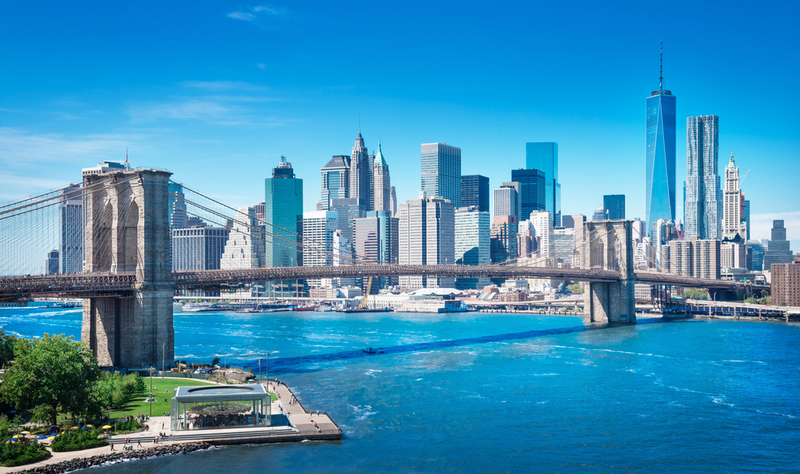 With the warmer weather, finding a place to get out and stretch your legs while enjoying the beautiful sites that NYC has to offer may be high on your list of things to do. In this second of a two-part series, we will explore some more great places to take a walk in the city. While the Brooklyn Heights Promenade is often crowded, it offers some of the best views of Lower Manhattan and the Brooklyn Bridge Park. To get the most out of the experience, start at the southern end of the promenade at Remsen Street making your way to the streets of Brooklyn Heights. Designated as the city’s first landmarked district, Brooklyn Heights boasts some of the most beautiful historic homes in the city. Connecting Hunter’s Point South to Gantry Plaza State Park, the walkable thoroughfare of Center Boulevard offers impressive views along with plenty of opportunities to sit and take a break when your feet get tired. Situated between Atlantic and Flushing avenues, Clinton Avenue offers an exceptional stroll for architecture buffs. Homes along this stretch of street offer a wide variety of styles that were popular during the 1800s. Two of its gems include the Greek Revival-style Lefferts-Laidlaw House located at 136 Clinton Avenue and the wood-frame home at 284 Clinton Avenue that dates back to 1854. Convent Avenue and Hamilton Terrace also offer great strolling opportunities for those who enjoy exploring the city’s great architecture. The area between 140th and 145th streets on Convent Avenue is home to picturesque row houses, while the secluded enclave at the Hamilton Terrace detour boasts a number of beautiful homes. As such, Hamilton Terrace is known for appearing in Wes Anderson’s The Royal Tenenbaums, with the home at the corner of Hamilton and Convent being particularly noteworthy. Inspired by the Champs-Elysses in Paris, the four-mile Grand Concourse in Bronx is characterized by its Art Deco buildings. With many of the apartment buildings in the area having been constructed during that time period, they still have much of their original ornamentation. Another gem along the concourse is the “Fish Building” located just south of 167th Street, characterize by the colorful mosaic on its exterior. Built in the 1840s and connecting Manhattan to Bronx, the High Bridge is the oldest existing span in New York. After being closed for several decades, the bridge has experienced major renovations and was reopened to the public in 2015. Today, the bridge serves as the perfect place for taking a walk through the city. Start on the Bronx side and walk toward the historic water tower within Washington Heights’ Highbridge Park. These are just a few examples of the many great places that are available for taking a stroll through NYC. Whether you are looking for green space, architecture or views of the Manhattan skyline, there is sure to be a great option available for you.